Most of the world is currently in a vague fuzz of lazy relaxation, but not the download team at Nintendo. It's the usual update, this time incorporating every system with the exception of Wii U, so barring a surprise a certain pinball series isn't going to make it to the new system this year. Still, let's look at what we do have this week in Europe, shall we? Super Mario Bros.: The Lost Levels (Nintendo, €4.99 / £4.49) — The original Super Mario Bros. sequel from Japan has arrived elsewhere in this guise in various formats and platforms, and the 3DS eShop can be added to the list (it hit the Japanese store in July). A notoriously challenging slice of retro Mario action, this one is for those with some ninja skills. If you want to know more before we review this particular version, check out our Super Mario Bros.: The Lost Levels review for the Wii Virtual Console. 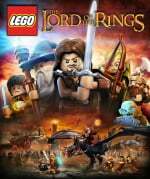 LEGO Lord of the Rings (Warner Bros, free) — Carrying on the long tradition of LEGO titles to cover every blockbuster franchise, this one now arrives with the demo to bind them all. Actually, it probably won't, but it's free so you have nothing to lose. Rabi Lady (Agetec Inc, 200 Nintendo Points) — This is a surprise addition — known as Rabi Labi in North America — as this was released in other parts of the world last year, with a sequel having arrived since. Nevertheless, it hits Europe at a lower cost and offers up a number of puzzle platform stages to take on. We had some positive things to say about this in our Rabi Laby review, so this one's worth considering. Academy Chess Puzzles (Gamelion Studios, 200 Nintendo Points) — This is exactly what the title suggests, which actually means you can't play full games of chess. That may seem peculiar, but the puzzles on offer will help you improve your game and keep puzzle fans amused for quite a long time; you can check out our Academy Chess Puzzles review for more details. 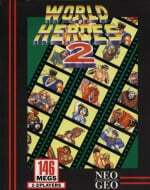 World Heroes 2 (D4 Enterprise, 900 Nintendo Points) — It's Neo Geo, it's a 2D fighting game. This sequel promises new characters and stages, and we expect plenty of fun combos to be thrown in for good measure. We'll get in some training and fight our way towards a review, soon. So there you have it, a mix of old and new content to consider. Let us know what you'll be spending money on in the poll and comments below. What happened to Zen Pinball making it to the Wii U in December? Dissapointing, I was hoping for Nano Assuault EX, since Shin'nen promised a December release date..
Good to see something on the 3DS VC - but the Lost Levels aren't for me. Damn was so looking forward to Zen Pinball 2! No Pinball? I hope Nintendo is not gonna be Mr. Delay, not the first delay since the launch. I got the Wii version of LEGO LOTR and its quite good. Think I'll just DL SMB the lost levels. Don't think that was an ambassador game? It's cool about Super Mario Bros.: The Lost Levels! Looks like Nintendo forgot the Wii U Eshop allready? They promised us in a Nintendo Direct the Pinballgame this month and not a word since then about a delay. Last update was on 13 december. Oh god yes! World Heroes 2! I'd long since given up on this ever appearing since we had Perfect. Prob not the best in the series for most of you guys but, for me, it's a nostalgic classic. Wow! A Neo Geo fighting game. This is an absolutely rarity on the Virtual Console. Meh, I'll just get the LotR demo. One VC game at a time is lame. At least some new Wii U retail downloads would be nice to see, like say...Batman? I'm over on the Zen forums all the time and we were also suppose to get dlc for the 3ds and I'm getting no answer on that as well! I'm expecting they ran into some problems and had to delay. Their last blog made it seem like they were done for the year even though back in November we were told all platforms were to receive something new but at that time Wii U wasn't even announced yet. Sad they aren't saying anything about it but don't be totally surprised if its shows up last min! Better yet j just checked their Twitter account and they responded not till January to our very own SkywardL. No reason given but that's all they said! Bit disappointed there aren't more demos for Wii U really wanna try some games out. With all the talk of poor frame rate and inferior ports of games. I'm not really interested in buying any Wii U games. I got zombie u which is great but it's hardly a graphical powerhouse so interested to see what other games look and run like. Will d/l the Lego LOTR demo. Not getting Lost Levels again, even though i only have the SNES (cart and Wii disc) update and not the original NES version. Final Ambassador updates delayed till when? Although, imo, the games in most need of an update were done ages ago. Why is there a demo of the Sega All Stars kartgame on the PS3 and 360 but not on the Wii U? Same for the Mickey game. It's not good that now so soon after the launch we allready for 2 weeks didn't get an update for the eShop. Some words from Nintendo would be welcome about this. @Kohaku There IS a demo, but only for North America. lost levels will be to hard for me. still havent finished the original super mario bros.
Silly to sell the game in both regions but only one region is getting a demo. Don't know who's decision it is but on the PS3 and 360 there is a demo available. I prefer a demo when games get good and bad reviews like the Sonic kartgame. I'll probably get Super Mario bros.: The lost levels at some point and when I do, I'll probably be using a lot of restore points as it looks like a brutally hard game. Very surprised that the Wii U EU eShop didn't at least get the Sonic Racing demo this week. I know that demo's are the responsibility of the developer, so I wonder if that also means control over what regions get those demo's. Regardless, I still can't understand why Sega would choose to release the demo in the U.S a week before Xmas but not elsewhere. I am waiting for price drop of Fallbox..
Well nothing this week then,just gonna download lego lord of the rings. The demos for the Epic Mickey games are actually quite misleading. Both games are actually quite appealing in the intial stages/couple of hours. All downhill from there. They should have cut the lengthy story sequence out of the 3DS Epic Mickey demo. Or at least made it skippable. When you're playing a demo, you don't want to have to go through the intro each time. Really? No new Wii U games? Damn. I was expecting Nano Assault EX to turn up as Nintendo Australia said it would (here: http://www.nintendo.com.au/index.php?action=news&nid=2749&pageID=6) But they also say that Toki Tori 2 & Mighty Switch Force HD are already available on Wii U (which they aren't :S) & that Zen Pinball 2 was coming this month, which it hasn't. I wasn't real confident about Nintendo releasing SMB2j in the west, so I already have it on my Japanese 3DS. I guess one more couldn't hurt! Oh yeah, I'm curious to see what console model they used on the home screen for the western version of the app. If it's an NES, that's lame. I hope it's a Famicom with FDS attached like the Japanese one. I've got the lost levels on Wii,so I don't need that,wouldn't mind trying the Lego demo. According to someone from Zen, the pinballgame will maybe ready for download in january. What a disappointment, seems that it's hard nowadays to plan releases. Will there be an update for America this week or is it pre-empted because of Christmas? Folks, are you blind or is my Wii U eShop the only one that was updated today? Rise Of The Guardians is a new Wii U retail download, released today for 44,99€. Anyway, what is that twisted strategy drip-feeding us with one movie-license game instead of offering some high-profile retail downloads such as Black Ops 2, Batman and Mass Effect already. PS: Why is WiiWare in the tag? Will get The lost Levels on VC. 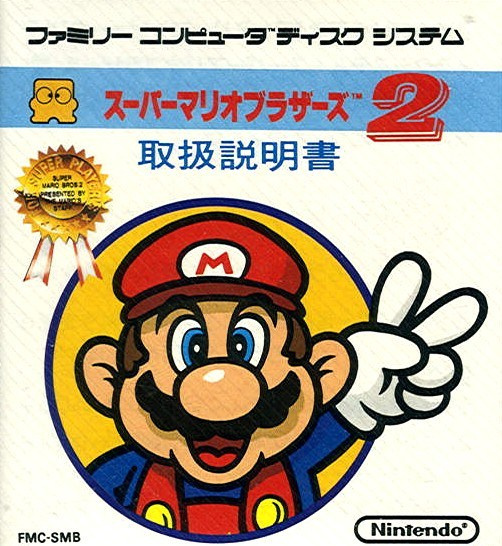 The SMAS version is flawed out and has many changes to the original game. People should give it a try. Its a mario game for experts that will surely put your mario skills to the max! I would not be complaining that the Wii U e-shop gets nothing, cause you guys have Miiverse. I WOULD pick up Lost Levels, were it not for the fact that they don't let you remap the run/jump buttons from B/A to Y/B on 3DS VC. That fact alone has stopped me from playing SMB1 which I got as an ambassador freebie. I downloaded Super Mario Bros. 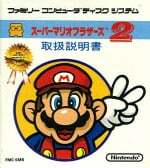 The Lost Levels (SMB2 in Japan) but I am still waiting for SMB2 and SMB3, the real great NES Mario games! The NES games look great on 3DS. I got Raby Laby...been waiting an absolute age for that game to be released on the EU E-Shop (and it's good, I'm enjoying it! )...all the Agetec DSiWare games have been good so far actually, Magical Whip and Dotman were well worth only 200pts each too. @ToxieDogg Raby Laby is very good. I also Recommend From the Abyss, one through three despite the low reviews there is a ton of fun to be had in each of them and Item collection and just smooth play make them fun play throughs. at 1.99 they are big bang for the buck. I think the "From the Abyss" series is excellent. @RupeeClock Are you kidding? The Y and B method is horribly broken, this method feels much more comfortable. It said IT CAME OUT YESTERDAY. Actually, for some one who is into chess, those chess puzzles are a very usefull tool of training. FINALLY RABI LABI IN EUROPE!!! Really hope to see more and more games, long ago released in NA's eshop-dsiware, come in europe; I will forgive them to be late!! !